Valentino Rossi has made no secret of the fact that he’s been toying for some time with the idea of another two years in MotoGP, extending what is already an incredible career until 2018 – and until he’s almost 40. But even then, few expected the press release that landed, without fanfare, the night before qualifying at the opening round of the season in Qatar, confirming that he wasn’t toying with the idea any more; that he’d already put pen to paper. Indeed, in a sign of how almost-routine the announcement was to the nine-time world champion, when 20 of the world’s media crammed into a sweaty cabin normally used by the Yamaha team to eat their meals in, it was team boss Lin Jarvis answering our questions; Rossi was still in debriefs with his crew. 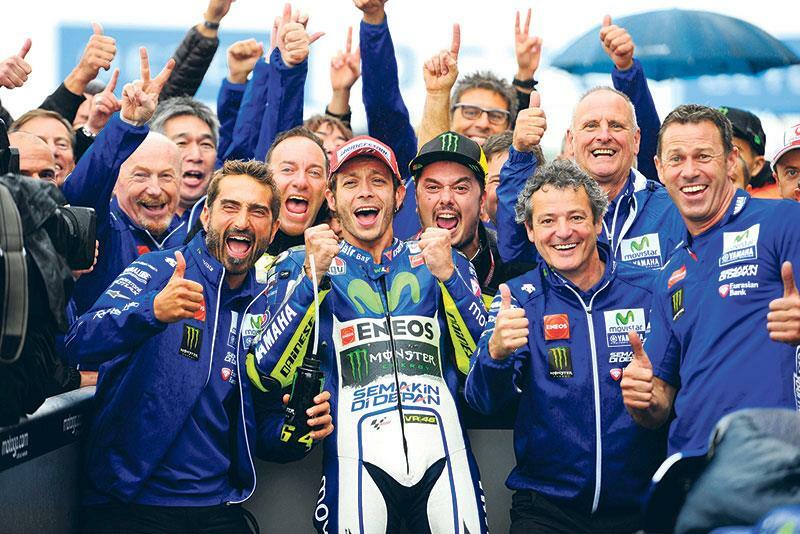 But, while few of us ever really doubted the passion the Italian had to continue, in reality it came as no shock that the man who finished runner-up to team-mate Jorge Lorenzo in 2015 was electing to stay in the sport while he was still competitive. Talking since the 2015 season ended about his thought process to remain, Rossi admitted that the plan was to dip his toes in the very muddy waters of the new season before making any call. Reduced electronics and new tyres meant that the coming season was going to be radically different, and he was taking no chances before making sure he would still be fast enough to win. And fast enough he was throughout all of pre-season testing, running among the other title favourites with pace that showed no signs of his increasing age. 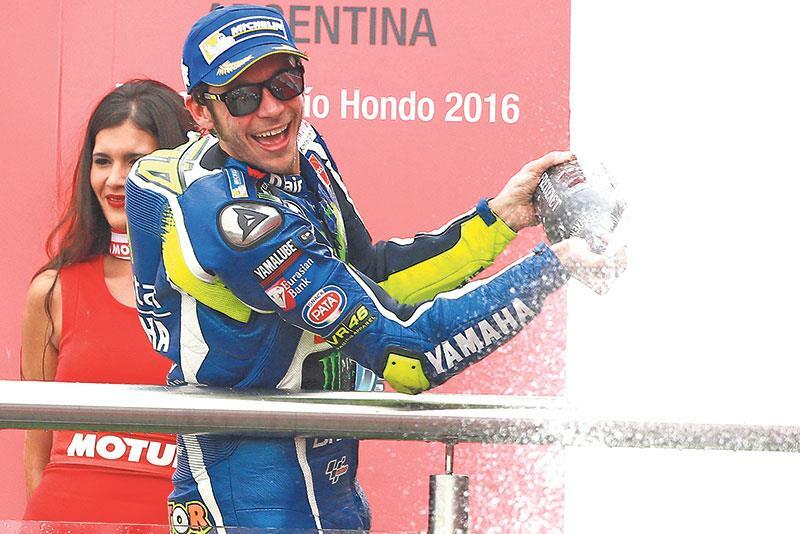 But despite that, when MCN sat down with Rossi at the third round of the series in Austin, he admitted that while he was already fairly certain of his decision, it was in the end Yamaha that made the first move. “In my mind, I always knew that I was going to stay. But usually we start to speak after five or six races and fix next year then – and this year I was still in this mind, because we change the tyre, change the electronics, and everything. And, offered the new deal at the same time as team-mate and fierce rival Jorge Lorenzo, there was also the opportunity for mind games in the quick announcement; first blood to Rossi as both he and the Spaniard make key decisions about their futures. Whether the move had any effect on Lorenzo’s decision to defect for Ducati at the end of the year is something we’ll probably never know – but it’s nonetheless a perfect example of the way Rossi’s brain works. It also opens the door for a very different character to come into the garage next to him, with MotoGP’s new wunderkind Maverick Viñales topped as the favourite to take the Yamaha seat. Rossi – one of the Suzuki riders’ biggest fans – has no problem with that move… yet.